Yoga means “union, connection” and Sahaja means “born within, natural, spontaneous”. The meaning of the name Sahaja Yoga itself is in essence the happening: a profound, natural experience of one’s spontaneous connection with their own spirit. It is a happening known in ancient cultures as “Self-Realization” or “Kundalini Awakening”. Once this awakening takes place, the person effortlessly can enter into the state of meditation, where in mental silence their attention becomes integrated with the spirit. This is the very beginning of the experience of Sahaja Yoga Meditation. Your first Sahaja Yoga Meditation class allowed you to have the very first experience of your Kundalini’s Awakening. Your Kundalini was previously dormant but now a small number of strands have risen up the spine and pierced through the last chakra on the top of your head and given you yoga — the union and connection. When the Kundalini takes our attention beyond the mind, into thoughtless awareness, our attention gets integrated with the light of the spirit. This light starts shining in our attention and the human being’s spiritual growth begins. This is the actualization which Sahaja Yoga brings about. It is an actual happening and not book knowledge. All of the nerves in our body are controlled by the brain. When the Kundalini energy touches the brain, it gains the awareness of a new dimension: for the first time, we can feel our energy centres and channels on our nerves. Imbalances and blockages manifest as unpleasant sensations which are felt on the fingertips and on the body. The nerves on our hand, for the first time, can also feel the subtle coolness of the Kundalini emanating from the fontanelle area (it is not a conicidence that fontanelle literally means fountain) on the top of the head and flowing from the centres of our palms. 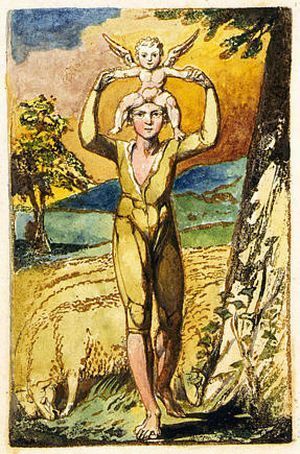 When the Kundalini is met with blockages along her path, we feel her as a subtle warm breeze, indicating the negative vibrations being cleared out. The Kundalini is like a rope with millions and millions of strands, each capable of enlightening the 1000 petals of the last chakra in the limbic area. 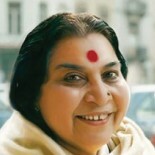 A fully realized person such as Shri Mataji herself would have this entire storehouse flowing freely all the time and the person would be completely one with their spirit, existing in the spiritual realm with full understanding of how the universal energy operates and the ability to manoeuvre it. For most of us, our first experience has given us only a tiny glimpse of that light, because only a small number of strands of the Kundalini have pierced through the fontanelle. Sometimes it is because our desire is not strong enough. Other times it’s because the Kundalini is met with obstacles along her way, due to blockages in the chakras. It is different for everyone. Regular meditation is the only way a person can maintain and establish their Kundalini Awakening and Self Realization. With Sahaja Yoga techniques, one can make use of the natural elements (ie, earth, water, fire, air and ether) to cleanse and balance the energy centres and channels. 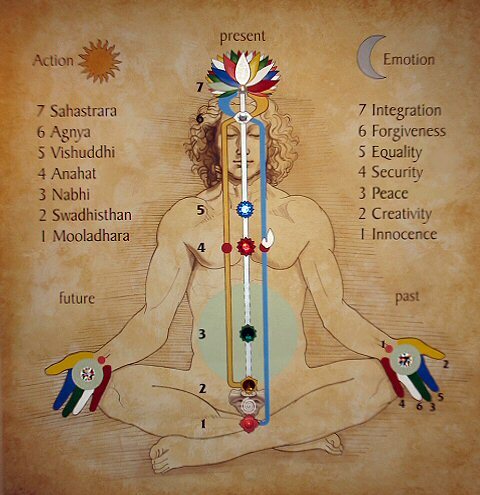 As a result, the Kundalini energy can flow more freely. The stronger the Kundalini flows, the more it takes the person’s attention beyond the mind into thoughtless awareness. The greater the state of thoughtless awareness, the more the spirit’s light shines on the person’s attention (as opposed to thoughts which come from the past or the future, the ego or the superego). If after Self Realization a person does not meditate regularly, their Kundalini energy will after a while go back into her dormant state in the sacrum bone at the bottom of the spine. Shri Mataji often said that the advent of Sahaja Yoga meant it was the blossom time for human beings, because at a mass level human beings are having their Kundalinis awakened and thus given their second birth. This was promised and prophesized in all the great books. It is up to us individually to find the truth within through regular meditation. This entry was posted on August 21, 2013 by tricitiesmeditation in Other Resources.